MODEL 1 demo stand at Sonar + D MarketLab is open to all Sónar+D delegates and Sónar by Day ticket holders. Sónar+D is the international conference that brings together a combination of activities with a common theme: the relationship between creativity and technology, and the digital transformation of the cultural industries involved. 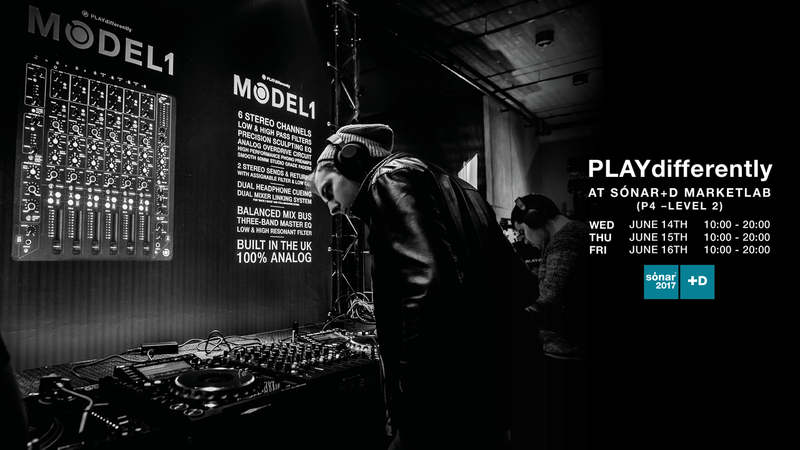 PLAYdifferently presents three MODEL 1 demo stations allowing Sonar+D visitors to demo Richie Hawtin & Andy Rigby Jone’s flagship Dj mixer. Bring your own USB sticks and records to test the mixer with your own music.